Chawna Schroeder is My Friday Friend. She loves stretching both imagination and faith through her novels. Living in Minnesota, she dreams of far-off places, daring swordfights, magic spells, and princes in disguise, just like her favorite Disney princess Belle. When she isn’t committing her dreams to paper, you can find her studying the biblical languages, working with fiber, or teaching about the importance of discernment. I loved this book! This is not a book everyone will love but I certainly did. It’s different in a quirky sort of way but is a wonderful portrayal of God’s unconditional love for each of his children. Without giving the plot away, in the character Beast, Ms Schroeder managed to portray what each of us feel at some time in our life and for many of us–all the time. After all there is a beast in each of us that we often manage to hide from the world but is with us always, lurking for just the right time to show itself. 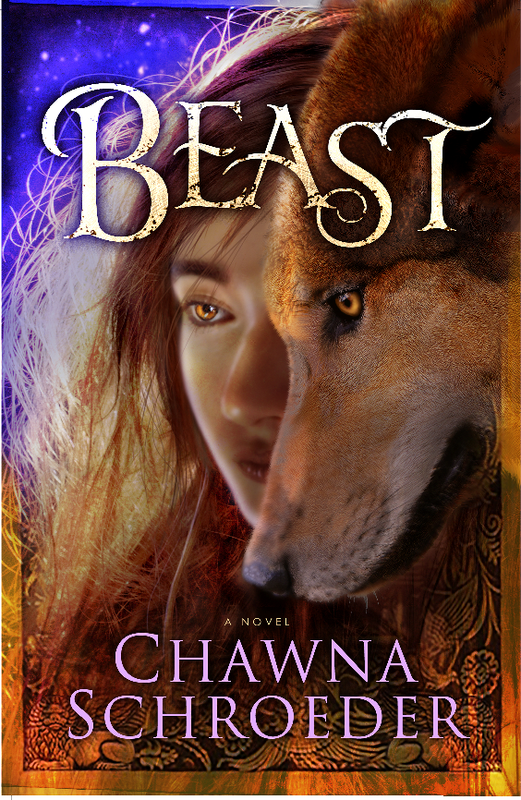 I highly recommend BEAST by Chawna Shroeder. NOTE: This book was given in exchange for an honest review. Don’t forget to leave a comment if you want to win a print copy of BEAST! Looks like a very unique story. Would love to read it. It’s certainly one of the best and most unusual books I’ve read during my sabbatical, Nancy. I loved the review can’t wait to read this!